This oceanfront Kauai Hawaii Vacation Rental By Owner is located at Kiahuna Plantation Resort on the warm southern shore of Kauai on the Hawaii Islands. The resort is comprised of 35 acres of manicured lawns and gardens filled with tropical flowers, set on a fabulous world-renowned sand beach with rolling surf. 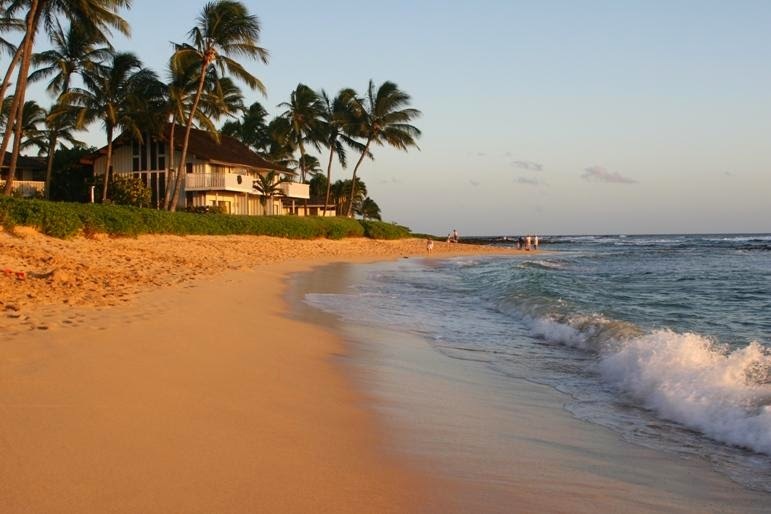 Situated in the Poipu Beach Resort area, Kiahuna Plantation provides an array of activities. Within short walking distance you can enjoy snorkeling, surfing, swimming, golf, tennis, hiking, biking or maybe just people-watching on a No. 1 rated beach. This beach condo is a 1-BR ground floor, smoke-free end-unit that sleeps up to 4 people and is located approximately 200 yards from the popular Poipu Beach, recently rated #1 in the world by the Travel Channel. The been completely remodeled and tastefully decorated, making it one of the most desired condos at Kiahuna Plantation. Guest have use of the Poipu Beach Athletic Club, a short walk from the condo, including a pool, tennis courts and fitness facilities. Kiahuna Plantation is home to one of the most beautiful sand beaches in the world, making it ideal for making lifelong family memories. There are several outstanding golf courses, plus hiking, snorkeling and surfing are some some outdoor activities enjoyed by guests. Plan your Kauai beach vacation with a great deal on a VRBO or hotel special and experience the magic of Hawaii.